Destroy all creatures that aren't enchanted. They can't be regenerated. Hey, sorry it took me a while to browse through your deck. First things first, I don't know your meta or your budget; my card suggestions are just that, suggestions. Command Beacon - Definitely needed since Avacyn will be removed multiple times per game. I've doubled my mana at times with Gauntlet of Power on the field. Your build looks like hell to play against otherwise, very solid. Winds of Rath - You are running only 4 Enchantment Auras so chances are, this will wipe your own board as well. If that's the case, there're lowest CMC board wipes like Day of Judgment , or more versatile ones like Cleansing Nova at 5 CMC. Austere Command while being 6 CMC, allows you to wipe the big CMC monsters while leaving your Commander unharmed since he only cost to cast. Grappling Hook - I'd just run a removal like Path to Exile over this. Inquisitor's Flail - Double-edged sword, literally. Trepanation Blade - It's a Hit and Miss. At to cast and to equip, there are better options out there. Hi! First and foremost, welcome to EDH! I do have a small piece of unfortunate news regarding Sygg, River Cutthroat . 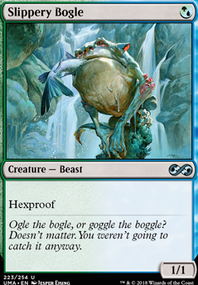 Since you commander has a Bant color identity (Green, white, blue), a card such as Sygg, River Cutthroat cannot be run, since he is a Dimir color card (color identity Blue Black). Although he can be cast using just blue mana (great job on your fixing btw), cards with hybrid mana costs still unfortunately cannot find a home in a deck outside the Commander's color identity. Sorry if I overexplained that a bit, but I hope it made sense! I'd also recommend running a few instances of single target removal. Cards such as Beast Within and Song of the Dryads are popular, since they handle any type of pesky permanent. Other common single target removal spells could include Swords to Plowshares , Disenchant , and Darksteel Mutation . 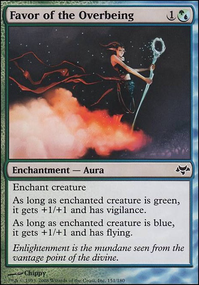 It might be worth considering another board wipe, such as Winds of Rath , which won't destroy any of the merfolk you've enchanted! Yo Noelqkazoo, appreciate the +1 upvote and your feedback! 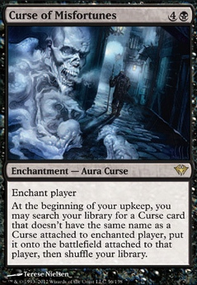 I guess the only reason why I don't run Copy Enchantment is because I don't own one, however that being said I don't know what I would cut if I do run that card in. Actually I would probably run the functional reprint of it more since there can be cool interactions with it. The weakest card I can think of so far is actually Winds of Rath . As for Abundance , it is useful but I'm not too keen on dropping a 4 CMC card, it bears playtesting as I do draw plenty of cards and I won't whiff as much. The same problem occurs though, what card can be cut for it? I don't feel like you've bothered to look at how this deck functions, it's not an Aura build. Winds of Rath would blow me out just as much as the next guy. Thanks for the suggestion though, Eldrazi Conscription is always strong. Not sure if you're still looking for some help but I saw a comment from you asking for recommendations on this deck. If you're still going with the idea of Voltron I'd personally cut cards like Cold-Eyed Selkie , Dreampod Druid , Giltspire Avenger , Nylea's Colossus , Qasali Pridemage , and Whitewater Naiads . Everything but the Druid and Colossus don't have synergy/good enough synergy with enchantments in my opinion and could be replaced with stronger enchantments or auras. Other creatures that I think could go are Kestia, the Cultivator and Kitsune Mystic . 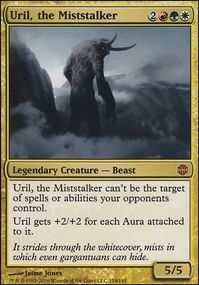 Kestia because with a voltron gameplan you aren't going to be going wide and you even have cards that make it so you only want to attack with one creature so 6 mana to Bestow just for +4/+4 and one cards a turn isn't worth it in my opinion. 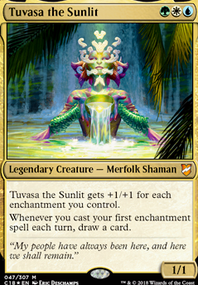 The Mystic while nice probably won't do much since you want just about everything on Tuvasa so moving auras around doesn't help you out. 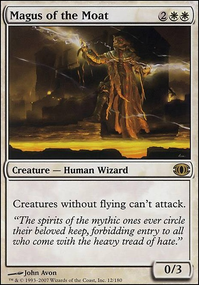 For non-creature spells the board-wipes, Phyrexian Rebirth and Winds of Rath could be replaced with spot removal or counterspells but I'd say this is personal preference. Last cut I'd say would be Aura Shards because while it is a good card if you take the recommendations to cut down on creatures you probably won't trigger it very often so a strong aura or other enchantment will do more for you. Other than that all I can say is you might want to try out Open the Vaults for if you get milled or Tuvasa dies while a ton of auras are on her. I also want to make it clear this is my opinion and I'm not some competitive Tuvasa player. These were just my ideas of how to make the deck into more of a voltron deck like the comment I saw said the deck was. 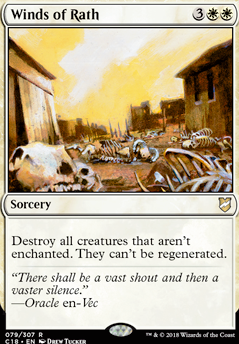 Definitely Martyr of Sands for mono-white. I've had games where I've snagged 16-18 life on turn 2 using her. Mother of Runes, Reverent Mantra, and Flickering Ward are also very mana-efficient ways of keeping a key creature or two alive for those board-wipes you have in there. Protection from White on some attackers + any of your Sorceries there = Good Game. Winds of Rath and Wrath of God are some other nice lower-mana board wipes. Winds of Rath in particular makes it fairly easy to save creatures.